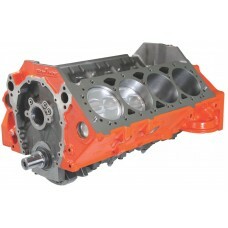 An all new 383 short block built with premium components. The basis of this engine is a new Blueprint 4 bolt main block fitted with forged 3.75" stroke crank, forged rods and forged pistons. Compression will be 9.5 when using 64cc cylinder heads. Blueprint Engines have a wide range of part numbers available. We can add any of their part numbers that we do not stock to our next stock order.